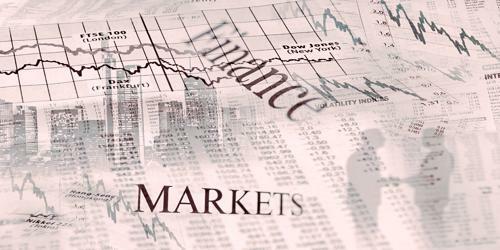 Financial markets are the place where the transaction of financial instruments and services are taking place. It is a broad term describing any marketplace where trading of securities including equities, bonds, currencies and derivatives occur. It plays a crucial role in allocating limited resources, in the country’s economy. Financial markets can be divided into different types. One way to classify the financial markets is to distinguish between the primary market and the secondary market. Another classification is based on the lifespan of the securities traded in the market. They are money market and the capital market. When securities are issued for the first time, they are traded in the primary market. In other words, it is the market in which corporations raise new capital. All proceeds from the issue in this market go to issuing corporation. In issuing securities, the corporation could take the services of investment bankers and securities dealers. The issuing company or group receives cash proceeds from the sale, which is then used to fund operations or expand the business. They assist issuing corporations selling securities in the market. The secondary market is where investors purchase securities or assets from other investors, rather than from issuing companies themselves. It is a market for already existing securities, where trading between investors to investors take place. The original issuer has no role in secondary markets, and the proceeds from securities transactions do not go to the issuer. An active secondary market is crucial for any securities once they are sold off in the primary market. The existence of a secondary market facilitates trading among investors to investors, thus adding to the liquidity of securities. Investors are motivated to buy securities in the primary market only if the secondary markets for the securities exist. The money market enables economic units to manage their liquidity positions through lending and borrowing short-term loans, generally under 1 year. It deals with trading of securities with less than one year of lifespan. It is the market for borrowing and lending for a relatively short period of time, usually less than one year. Government, corporations and individuals requiring short-term loan are major participants of the money market. Government issues treasury bills to meets its need for short-term funds. Corporations could issue commercial papers or take a loan on a short-term basis for banks to satisfy their short-term need of funds. Other money market instruments include bankers’ acceptance, certificate of deposits, promissory notes, bills of exchange and any others with less than one year of life. These money market instruments are actively traded in primary as well as secondary market. The capital market aids raising of capital on a long-term basis, generally over 1 year. It is the market for long-term (more than one year) securities. All long-term securities issued by corporations and government such as common stock, preferred stock, corporate bonds, government bonds are the instruments of a capital market. These capital market instruments are also traded in both primary as well as secondary market. Capital market instruments are not as liquid as money market instruments because of longer maturity. However, the existence of the secondary market adds to the liquidity of these instruments.